Rothco's Camo Bivouac Shelter Tent features a compact design ideal for special operations and tactical maneuvers. 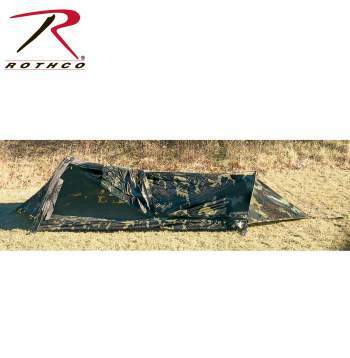 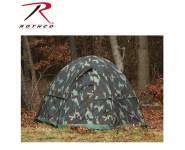 One-Person Tent Measures 108" X 41" X 21"
Rothco's Camo Bivouac Shelter Tent features a compact design ideal for special operations and tactical maneuvers. 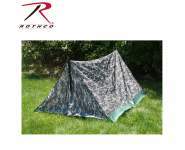 The 1 person camo tent is waterproof (650mm pressure test) and fire retardant and is constructed with a lightweight taffeta PU coated material with a durable polyester bottom and no-see-um mesh screening. 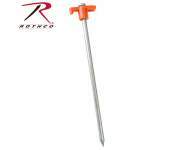 The 2 piece shock-corded poles and tent stakes allow for a quick and easy set-up. 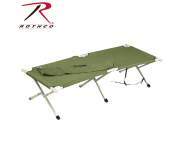 In addition, the emergency tent is equipped with a convenient carrying case. 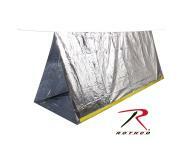 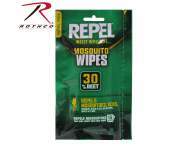 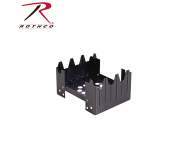 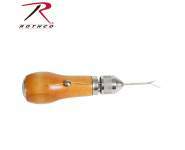 Great for camping, hiking or emergency situations.